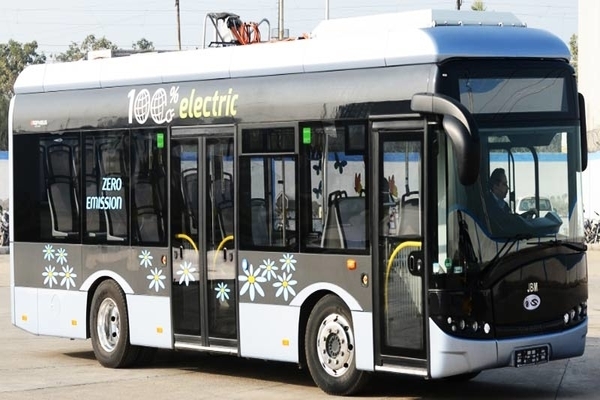 The Board of Directors of Gurugram Metropolitan City Bus Limited (GMCBL) will add 100 hundred electric buses to the streets of Gurugram soon. By virtue of their hub and spoke modus operandi, electric buses seem to be the only immediately implementable electric vehicle technology in India. Despite the fact that they cost almost 3-4 times more than a conventional internal combustion engine (ICE) buses, their impact on the environment has urged the government to issue a large number of incentive schemes to encourage manufacturers and local governors to make and sell buses cheaply to government authorities in India. Thus far, Mumbai, Hyderabad, Manali, Kolkata and Bangalore have gone the electric transport way under the government’s FAME (Faster Adoption of Manufacturing of (Hybrid &) Electric Vehicles). As a part of the National Electric Mobility Mission Plan, FAME has a corpus of about US$ 123 million (Rs 800 crore) to invest in electric mobility based initiatives. This fund was allocated for the duration of two years. However, an extension is being requested. DHI is considering all proposals on priority. Gurugram is the latest to get on the electric bus brigade adding 100 buses to the streets with deliberation, setting a target of another 300 by mid-next year, bringing the grand total to 400 buses in Gurugram by mid-2019. Gurugram ’s booming cyber city is home to thousands of young-urban professionals in need of reliable and comfortable last mile connectivity, a task that these 100 electric buses will set out to complete. Of the first lot of buses to be added for 100 electric AC buses and 100 non-AC low floor buses have been made in the requisite. GMCBL intend to bring the total to 400 Electric buses that will ply the streets of Gurugram by next year. And while the tenders have not been awarded yet, expect the usual list of contenders the likes of, BYD-Goldstone, Tata, Mahindra and Ashok Leyland to compete for the manufacture and these Electric buses. The Government of India unveiled National Electric Mobility Mission Plan (NEMMP) 2020 to accelerate the growth of the electric and hybrid components of the automotive sector. It focuses primarily on fast-tracking the manufacturing and introduction of EVs in India. The Department of Heavy Industries (DHI) had launched FAME (Faster Adoption and Manufacturing of (Hybrid &) Electric Vehicles) in April 2015 to promote manufacturing of electric and hybrid vehicles in India. Both schemes in conjecture should, in theory, see us meet our target of 30% Electrification by 2030.